So, as Michael kept saying few different things we should write on the Blog about, I thought this is a good start as it is CENTRAL of a topic for all who seek to know more and better about their Twin Soul Situations, and since MOST Twin Flame counterparts are in spirit, and only one part incarnates at current times, many people will hopefully find this article very helpful. I have given some insight before, about previous relationship and friendship with the Guy who looked like Elvis. But not only do the “soul mates from the soul family group” mirror and reflect our parallel “environment and relationships”, but also parts of each other. Meaning, this Elvis Twin Guy from my past, was not just mirroring Lisa Marie Presley’s relationship with Michael, in my life, being Michael’s Twin Soul. But, Lisa Marie too mirrored at the same time aspects of me, to Michael, and the Elvis Double mirrored aspects of Michael to me, creating a very identical parallel pre-experience, for me and Michael, before we as a Twin Soul reunited. We had an instant understanding for each other, and attraction, and TRUST especially, BECAUSE of all these parallels. The more he shared things, the more I saw how we don’t just “feel” like we are alike, but it is factual throughout all our lives, and even relationships with others. And the contrast proved the difference, as there is a big, big difference between Soul Mate Relationships, and the one and only True Twin Soul Counterpart, the other half of YOU. Obviously, Life is eternal, in spiritual Form, and spiritual Body. We ain’t some weird floating around “presence without body”, we have an eternal, everlasting, immortal BODY OF LIGHT, when we get into Spirit again. So, technically speaking, for Michael and from his view NOW, his incarnation as Michael Jackson from 1958 to 2009 is already by now a “past life”, a passed “earthly life”, because obviously, we keep the main spiritual Life over all those incarnations, in between, and above in other Dimensions. When I encounter people now, that knew Michael in person too, it feels “familiar”, right away. Like we already met before, because they met Michael. Some still have now a spiritual connection to Michael, and resonance, some don’t and were just factually in physical terms in contact with Michael. Usually with these, Michael also did not talk about his spirituality or Dreams, which makes sense. Other’s Michael did talk about Musical and Spiritual things with, and they do have a clear understanding of what is going on and resonate and understanding Michael now, in Spirit, and his connection with me. 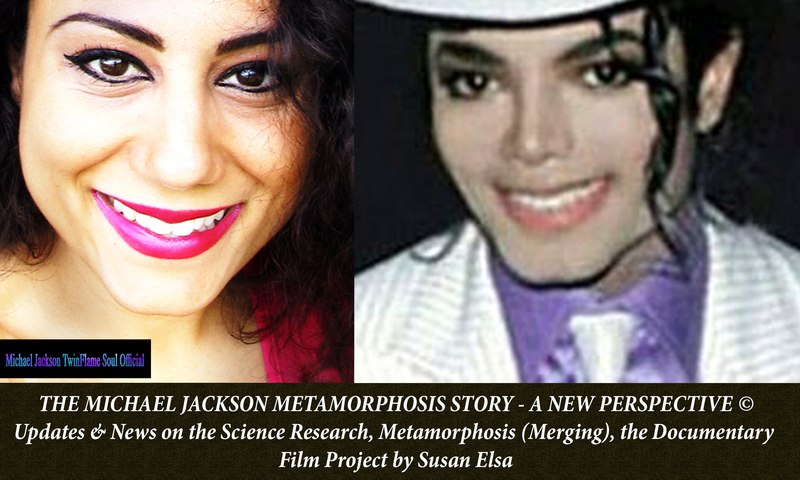 It is funny to note also, that male Friends Michael had, react in funny ways towards me being his FEMALE Counterpart, and see a “whole other Dimension of MJ Vibes in Female”, and they find it fascinating. Obviously for female Figures in Michael’s life it seems different to encounter me now. But mainly those which never had any contact with Michael, or were swirling around trying to get to Michael but him rejecting their advances, or, mistreated Michael himself anyways and so they behave same ways towards me. Same here also for Boys and Men who mistreated Michael, betrayed, backstabbed, lied and did wrong to him, they don’t treat me well either, so it all mirrors and is parallel now as we progress further in our Twin Soul Merging. In the types of relationships and friendships were one could learn things, evolve, see different opinions and angles that help you grow, heal, expand yourself, there too is a Twin Soul Mirror Effect. I had explained that before, regarding how Michael’s Relationship with Lisa Marie Presley, for example, mirrored precisely on my life “manifesting” a Guy in my Life when I was younger, that resembled Elvis Presley. The relationship challenges, issues, details, were totally parallel and identical, and me and Michael were stunned at the tons of parallels in our past experiences when we discussed this initially. It was major in the very beginning, bringing us close, and showing me, as well as him, that we can TRUST each other and that it is DIFFERENT between us than with others in previous relationships and social experiences. The identical understanding, was clear, and the contrast was so visible because of the previous, preparing experiences. Everything makes sense, and I would not want to never have known this Elvis resembling guy, or that Michael wasn’t with Lisa Marie Presley and had a good time in his life with her back then too, and learned things in this experience that benefitted our relationship. And this is a very important point, because I see all those people discuss in heated and obsessive ways the “Twin Flame” Topic, going out of reality often it seems, not seeing the wonderful, many connected Souls right in front of them. If the Twin Soul Counterpart is in Spirit, and was never incarnated during the other’s Lifetime of Incarnation here, what do you want do to? Never have any relationships, physical love, children, family? You evolve with the help of experiencing OTHER SOULS, reflecting different parts of your Twin Soul’s Personality and past life issues and all that, and it brings you closer to reunion with your true other Half. God made things this way for a reason. Because beyond the unique personal Twin Soul Relationship, we are all connected in the Universal Consciousness Field. Just like we have friends, relatives, family on Earth in physical terms, we do have such relationships also with other souls in Spiritual Dimensions, and we even have “soul children”, procreation in spiritual Dimensions! I have done some in previous years spiritual work for friends, in private, and I saw things regarding how they can channel their Twin Soul Counterpart into existing relationships, or attract a Soul mate which IS right now incarnated and in a fitting age, to “reflect a resonating vibration with the Twin Soul Nature” and Counterpart’s energy, spiritually. I had the unique opportunity to see clearly how in my life, with Michael and in his life, between us, and between him and others, and me and others, how it all reflects always going back to the ONE TRUTH CENTRE OF ME AND MICHAE BEING ONE AND THE SAME. The perfect and only eternal relationship. This is how he explained it to me, about the Quote shown in the Cover Title of this Article. He is “my only Constant in our personal subjective Universe”, and all else we see manifest and experience on Earth, in this Dimension, tends to reflects aspects of our ongoing, eternal, always connected Relationship. The Twin Soul is the only COMPLETE Connection one can ever have. This is why Michael had issues with “finding” this complete connection with other Women before, and I had the same issues with Guys in my Life before meeting Michael. Michael wanted me to put this Song here, as it is one of those expressing his Vision, before we met, of his “female Version” and “perfect Counterpart”. It also expressed a lot about the taste and style of individual people’s perspective, here, Michael’s perspective on how “his Twin Soul Counterpart makes him feel”. Nothing can top the Twin Soul Connection, because as explained, it is the Centre of Being, it fits on soul level, physical, mental, emotional and is the embodied “perfect Partner” created by God. It is different in nature and in experience, than with other Souls. The Twin Soul is the same Soul, from two different perspectives. Other Souls are OTHER Souls, and that too is very fascinating, the whole Science of Soul Mates and Soul Family. I have gotten to know many wonderful people, that I feel connected to spiritually, as in soul family vibes. 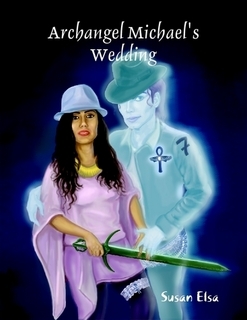 I guess, this is also why so many MJ Fans feel such a deep spiritual connection with Michael, because in reality, in spiritual reality, we are all connected through God’s Magic. If you are in any relationship, a marriage, a partnership, and you have certain issues, disagreements, problems in the bedroom also, you can only profit if you try to learn a bit about Twin Souls and get to know yourself and tune in to your Twin Soul Counterpart and activate this connection, because it can reflect serious healing and magic on your current relationships, also friendships and family relations for example. It is a very complex higher thought, detached from duality really, because it is all about realisations of a higher perspective from the Universe and the own Soul in its complete truth and multidimensional perspectives. 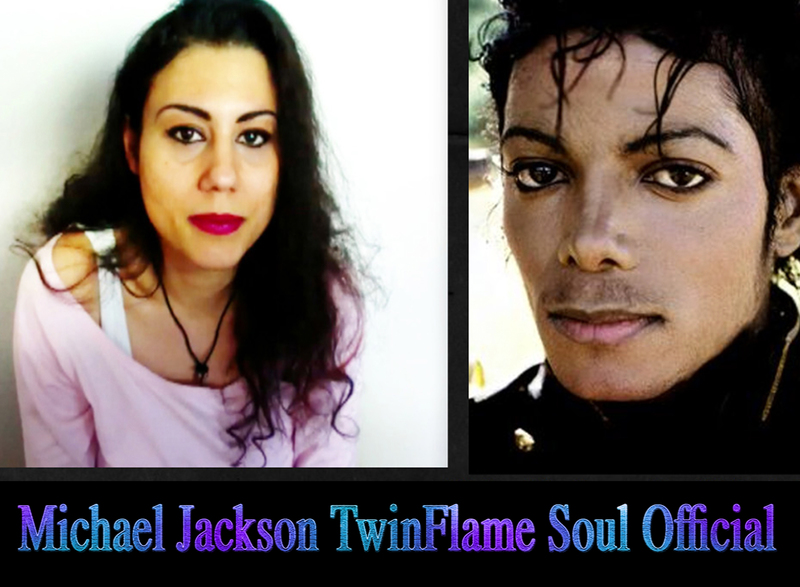 But I and Michael are in the Centre, and all else is a manifestation of our personal Journey and Experience, and as in this earthly duality, like an illusion kind of, we seemed separate, we were one and together in this connection spiritually the whole time already. It is like “chapters of our minds” merging and layers of understanding details opening up, step by step, and even the whole time and space seem to not matter here because I can by now just tap into Michael’s personal memories as if its my own memories, naturally, without even noticing or trying. If you want to say it in factual cold words, you could say “the Twin Soul Relationship is the only remaining and real bond”, while all other relationships are of “another kind”, they can come and go, change, help, support, damage and cause karmic issues to be forgiven and resolved, and all that. It is like, the Twin Soul is the calm Centre, the eternal inner Bond and Peace, while around us different seasons and experiences shine, storm, rain and swirl, and we can learn from all that as it is finally a big picture, a reflection of our own Truth in Experiences on Earth, reflecting Spiritual Truth. I am Michael’s “World” and he is my “World”. But in this World, this big wide space, are many Friends and Soul Mates and it makes up the Beauty of THIS EARTHLY WORLD Aspects. Regarding romantic type relationships, it needs a whole separate focused article, which I will publish this weekend. I will let you in on a secret, a type of knowledge we knew well in ancient Egypt in society, but today it seems like some forgotten knowledge. I realised something very curious and new recently, and spoke with few friends about it like Cormael (www.cormael.com) or Andrea Mai (www.andreamaicreative.com). They both know I felt, more than me about astrological calculations, the mathematical aspects I never really got into. I am not an expert on such calculations, I prefer others do it. But I am good at directly tuning in, and I have Michael. We can share a very multidimensional perspective now, and through his ascended clear perspective from Spirit on things, I can tap with him into a very clear thinking and seeing “universal and even zodiac energies connect”. It is a direct process, and communication, and psychic type “reading of energies” and thinking back on people one encountered on this Planet and their Zodiac Signs and astrological Energies and Behaviour influenced by those constellations. As our Twin Soul Consciousness Merging keeps going deeper and deeper, I am realising how all my Life, before even being aware like today, I would always feel any resonance, vibe, understanding, have good conversation or friendships and romantic feelings also, for people always from the same certain “zodiac signs group”, like Sagittarius, Leo, Scorpio or Aquarius. I do not recall meeting other Aries much, scanning back through all my personal circle of people, I never had other Aries in it. One of the Zodiac Signs I NEVER got along with and did not have also folks from in my closer circles, I thought, was Virgo. Michael Jackson was a Virgo. This is me, thinking back and noticing those things, because I am seeing a completely changed energy in these matters. I myself, am “more in Virgo now than before 2009”, but I notice I always had Virgo qualities and influences in me, and Michael had Aries energy and qualities. Check out the following Video we picked as example. In the behind the stage footage, you see Michael more in the “Virgo” modus, and when he goes on the Stage he turns on this “inner fire and energy”, that is the Aries-Virgo merged Energy. And Michael clearly brought this “new aggressive, going through walls with his head type” energy after my Birth, in 1982, being born in the Aries Zodiac Sign. Now check out the changed, more aggressive, raw energy after 1982…including the whole provocative dance moves such as the crotch grabbing thing, which was only an expression of this inner energy Michael felt. Artistic expression of body consciousness and energy in Dance. You see clearly, how Michael’s physical expression and energy changed, and “something additional” got activated in him and expressed. So, Michael was not just “Virgo”, he was also “Aries”, and I am not just Aries but also Virgo. These things also merge, when a Twin Soul merges, and due to the universal natural RULE OF BEING ONE AND THE SAME, this is an aspect and truth that seems to be yet missing in modern Astrology Sciences. I see the clear astrological mirroring of the Twin Soul Merging we are going through, as I said, Michael was clear about that we merge on ALL LEVELS you can imagine. So, what I would like to put out there to all the wonderful and skilled Astrologers is the following Twin Flame Zodiac Theory, a spiritual Science Theory based on ancient Egyptian Knowledge I am trying to bring back into modern Consciousness. Twin Souls are two and one at the same, two bodies, male and female, sharing one Soul, called “a Twin Soul”. So, if this is the case, then that counts for Astrological Aspects as well, and both carry TWO ZODIAC SIGNS AND BIRTH DATES ENERGIES. As I took my time, reflecting on this and other funny and magical things happening, I noticed that Michael was already showing typical Aries qualities and behaviour when he was a Child. For example, when he would be the only one and most of all, rebelling against his father Joseph, as in “a battle of wills”, which is typical Aries and not typical Virgo. But funny is, I was not born yet back then, when Mike was a child, and so I realised that even before both Twin Soul Counterparts are born, the “Energies are already arranged”. I would even go as far as to say, it is a theory, that maybe in spiritual polar energies of male and female within our soul, Michael is more the Aries, and I am more the Virgo really, but we incarnated in the other’s energy and zodiac vibes more, as we channel each other and it is a big purpose in our personal and individual Message and Soul Mission. It is how we show you and demonstrate also all this Twin Soul Truth. I also thought back, and in my youth I had this extreme Virgo side in me already showing, with the whole analytical thinking and dissecting things in my mind and reading into Psychology Books and Medical Books, and such, “studying” things, being shy and introverted and very work focused and THINKING TOO MUCH AND NOT ACTING OFTEN. But then I would also switch and be in Aries again, and do things without thinking first, and rebels and “push against walls with my head”. Michael Jackson said publicly often, and showed in his work, that he “goes against the norm, and if someone told him to NOT do something or wear some fashion idea, he would do it even more willed”. This is TYPICAL ARIES, not Virgo. Michael even explains now, that the Aries Zodiac Energy helped him achieve what he achieved in his Career, giving him “the fire, stubbornness and iron will to fight”. And for me same thing, I can only give that back to Michael and say, the Virgo Zodiac Energy helped ME to become so analytical and scientific thinking, detail oriented and able to grasp mentally and conceptually now all these things I need to do to complete our work on Earth. It is what helped me to be so aware and understand in precise details, from complex different angles what is happening in my life. I love being an Aries and Spiritually a Virgo. What is also funny, leading to the next Article for this Weekend, a follow up, is that the environmental Zodiac resonance also changed and is merging. Meaning, our personal circles of people who resonate with us, that changed as well. I have suddenly tons of Virgos in my life, when before it was the opposite. And I get along perfectly with Virgos, when before it wasn’t that way and I do not get along like I used to with other Signs which I used to get along with earlier in my life. Let me explain that in depth in the next Article, and please, feel free to take this Theory on and put in numbers if you are an Astrologer. Please don’t forget to mention that this is channeled by me and Michael Jackson in Spirit, thank you. I will write more on this when reflections, ideas and information comes up. 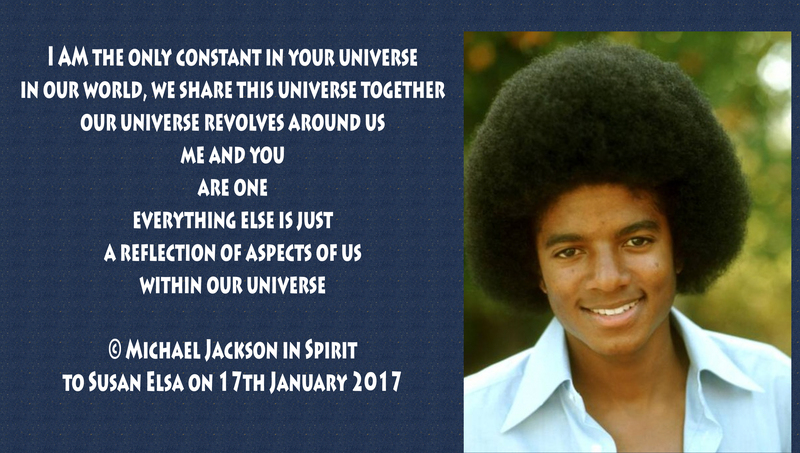 Michael Jackson in Spirit -Message for 2017. Direct dictated words in his own words, put into Audio for the Video and easier listening for all via a web voice. 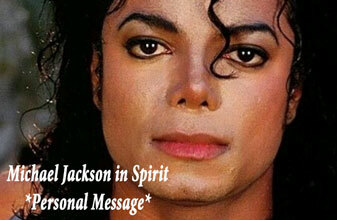 “Hello, this is Michael Jackson speaking from Spirit. I have not been saying much lately, as I have been busy with helping souls and giving them support for their healing journey and self empowerment. I love doing that, I love to see people happy, in tune with their soul, filled with joy, smiling, and knowing they are loved. Today I decided to say a few things, and I will be more open with you all, than in previous messages. I am as well, simply getting used to be in Spirit and not having to worry about earthly Paparazzi and the Press dissecting each of my words or my Face and taking Photos of me at all times and in all places. I am free now, and I can communicate in a way much more open and direct with my beloved Fans as well. Many things that have happened to me, in my lifetime as Michael Jackson, were not right, not just and inhumane. I had a very difficult challenge in my life journey, and certain things kept happening over and over again. It felt often unfair and I would wonder, why those things happen to me, and why certain people come out of their way to hate on me, attack me, and harass me. People I don’t know often. People I don’t like, and don’t have any closer relationship with. People that simply had no basic idea even about me or my public Work, such as so called Journalists, and Promo folks, just saying freely and in public whatever they want about me, without consideration for the truth or facts. But that was not all of that. I also had people in my private environment betray and backstab me, over and over again. It made me trust people less, and children and animals more. As a human being, you do need social contact, conversations, hugs, nice caring words from time to time, a feeling of a “support net” in your life. If you do not have that basic safety feeling, it is very, very difficult to handle. I felt extremely lonely for a long, long time, and I did try all that was in my hands, to have better friendships, a real loving relationship and marriage, an own family, children, a wife, all that. I tried my best, but there too in these areas of my life, I had it more difficult I felt than most other people. Everything in my life has always been more difficult and strange to me, than in the life of other people I knew and watched. And I wondered, for years about that, and why it was that way. And I thought and thought about those things, for many days and nights, and I read intensely into things, analysed things in my mind and came to some conclusions. When I became aware of the detailed motivations behind those orchestrated attacks and lies, always happening also around certain timings where a Project is being prepared or a Release, these lies and attacks would be done even stronger. The more I worked, and tried keeping my focus on my work and my future, my vision, my life and health, the more aggressive they lied about me and spread the lies everywhere, they did everything imaginable to try and turn the people, the public against me. Over and over, such things would happen right as I am about to release a new Project, and it became clear to me because of such timing that it is being done on purpose and to damage my coming Release and do something I would name “Anti Promo”. If you look between the lines, look closely and analytical at details and research, watch for dates and timing and details, you can see a clear plan behind those attacks. You can see, that others in the Business, do not get treated that way, but in fact, the opposite. False promotional news stories are fabricated, fancy sensationalism style words and titles are launched, and biased reports are circulated to impose a particular image of the Artist on the public’s mind and to make people buy their stuff. Don’t misunderstand me here, I love the promotional opportunities and how my own special style I developed of “Image Concept and PR” completed my work and presentation style of releases. But all my Promo and Promo Stories were based on truth, compared to many others in the Business. Point is, the Press writes about me in a different, personally attacking tone, always biased negatively, but then you see others who ain’t Black like I was, where the Press writes totally different, in a personally complementing, positively biased tone. This is what I mean. Today, you have an even bigger problem with getting to the real facts and truth, because of the Internet. The Internet has many wonderful aspects to it, and I love seeing my Fans being able to talk together, share, not feel alone and enjoy a community I like to see myself as the founder of. A worldwide community of different people of all races and genders and ages. I love that part. But, there is also, as logically expected, another darker force on the Internet, the same people who would make Newspapers and Tabloid Papers, News Shows and the whole “Anti Promo” tactics, now do their thing the same way online, on the Internet. I know you have many questions, out of caring and love, to understand what happened in my life and business matters, and what happened in June 2009. But let me decide, when and how I share this information, and if even. Let me decide, according to what I believe is best. Because my goal and purpose has never been to make you sad or spread negativity, I dislike negativity and it has been a burdening thing in my life, as explained before. My goal and purpose has always been to bring joy, to make you in fact escape the negative emotions, sadness, bad thoughts, things that are stressful and negative in every day life. This is what I called Escapism. You have to know, I am seeing everything, now, from Spirit. I see things even more clear than I could as a human being before, because with the ascended spiritual sight you see energies around people, thoughts, emotions in the heart chakra and know the truth, despite any words being spoken or any pretending attempts. You see clearly when something is not resonating outside, as it is inside a person. And in Spirt as well, I do need my time and insight to trust someone, so that I can directly connect. I can do that with my Fans as well, and it is a wonderful way, something new which I wasn’t able to do that way before I ascended into Spirit. When someone is directing bad energy at me, I see that, and I do not go around or connect spiritually with people like that. It is not even possible. I am not bound to duality no more, my ascended spiritual mind and body do not connect with people that are not meaning well towards me, spiritually and in their true heart’s emotions. I can see that, clearly. In those recent years, I have enjoyed this healed, ascended state of being and I enjoyed that I can bring this joy and healing also directly to my other half, my Twin Soul Counterpart. I am the one that informed her in my own direct words, when God allowed me to go back to her, even if I am now in Spirit. She was not aware of the challenges that will arise with this, and I didn’t tell her in details what I saw ahead already. But you all can see by now, that there is an on purpose attack on “Twin Souls” and this sacred spiritual information and truth as well. Now think back about all the things I had to endure, in my lifetime as Michael Jackson. Think about the ongoing lies, the tactics, the constant never leaving me alone type of situation. The constant discussions about my face, my work, it’s meaning, and lies about me being somehow “abusive” toward innocent people. Then look how some folks came out to attack her now too, and use the same tactics and style of lies in their same old game. I am no longer going to sit back and wait for those people to change and heal their darkened, envious minds. I do not like this feeling at all, of being hunted, and stalked, and lied about. It reminds me of what I had to go through, and I am therefore telling you the truth, so you know what is happening. I wanted to share so much more with you all, show you what I am seeing now, what I am living now. My wish and motivation for coming forward in Spirit like this and with her help, is all to share our happiness and knowledge of life being eternal with you all. I want you all to know, I am well, and my children to know, I am well, and my friends and other loved Ones to know I am well. I want you to know, your loved Ones which ascended to Spirit, are well too, and to know, get a little glimpse of Heaven from Earth, so you have hope, and feel the love surrounding you which God has for you. I am not here to be negative, from Spirit. If I was, that would be very telling, and this is not who I am. I am all about love and positivity, and now in Spirit even more. However, being all about love never meant I can’t fight or defend myself against what is not of love at all and the opposite and interfering. I can be very protective of my loved Ones, and my innocent Fans seeking to find out why they felt all they felt in my Music and in watching me and truly care and feel genuine love for me. And because of all that, I want to share a few facts with you now, directly, and you may listen or not. It is your free will and I have to accept that, even when some people’s decisions make me sad. You have to know, that the intellect can be tricky. You can see something, read into it, see Videos or Stories that appear at first as if they are authentic and detailed, and that may make you think, it is truth, but when it comes to me and my Name, anything with the Michael Jackson mention has to be evaluated carefully and using your spiritual intuition and logic. It is good to use intellect as well, but don’t let false stories and false accusations and such horrible slander cloud your heart’s intuition about things. Don’t fall into their trap and get confused about what is the truth and what is a lie. Try and take some time in the next weeks and months, to focus your mind on your inner feeling, your intuition and “subconscious gut feelings”. Try to focus on peace and love, calm and safety and warmth inside of you, in your core heart centre. Understand that the Music, the artistic innocent expressions that were the job, the work I chose to do with my life from an early age on, is a very spiritual job in itself. There is nothing wrong with choosing to work in the Entertainment Business, choosing to sing and dance to bring joy and positive energy to others. Why do you think I chose that job? The same counts for my Twin Soul Counterpart. She has never seen herself working in a field where it’s all about money as in financing business or, insurance business, or any such jobs which are pure office jobs and carry no expression of spirituality. She is like me in this regard and does a lot of charity efforts she doesn’t like speaking publicly about. I can’t stand those leeches that keep aiming at her now, and I have to watch this, and fabricate lies about me and my very soul. How insane is that. I can’t stand this Deborah Stefaniak person, she is not who she claims to be and if you want to know the spiritual truth here, is attacking me personally by what she does. I never talked with her from Spirit, nor did I tell her to go public about murder claims and talking about this very difficult event in my life, as if she knew anything. This is pure malice. I do not approve of her claims, and I have no spiritual connection to her at all and clearly stay away from her very obsessive, vampiristic energy. She is getting on my nerves and has caused me several angry and worried moments, seeing from Spirit what she plots, spits out and writes up against my true Twin Soul Counterpart, and I am just waiting here to enforce the Karma of her doing on her when she gets here. Nobody, I said, nobody messes with my Girl. I am very serious about this. Focus on love and truth, Music and Joy, not fear and negativity, and all those lies. I do not approve of the Music Industry tactics, which they dared to use on my innocent Twin Soul, to mess with me in Spirit, knowing she is one with me and I love her with all I am, and get hurt when they try hurting her. This is pure evil what those people do. But then again, love finally conquers everything. And I am very confident in my spiritual truth and know, that everything is in place to reveal the truth so that the lies cannot cloud your sights any longer and everyone knows about and focuses on LOVE. Love cannot be forced. You have to be ready to receive it and see it in all it’s beauty. But when you are ready, I will be here and you can call on me anytime. I can and want to help you all discover your own spiritual Self, your full Being, your own Twin Soul Truths. 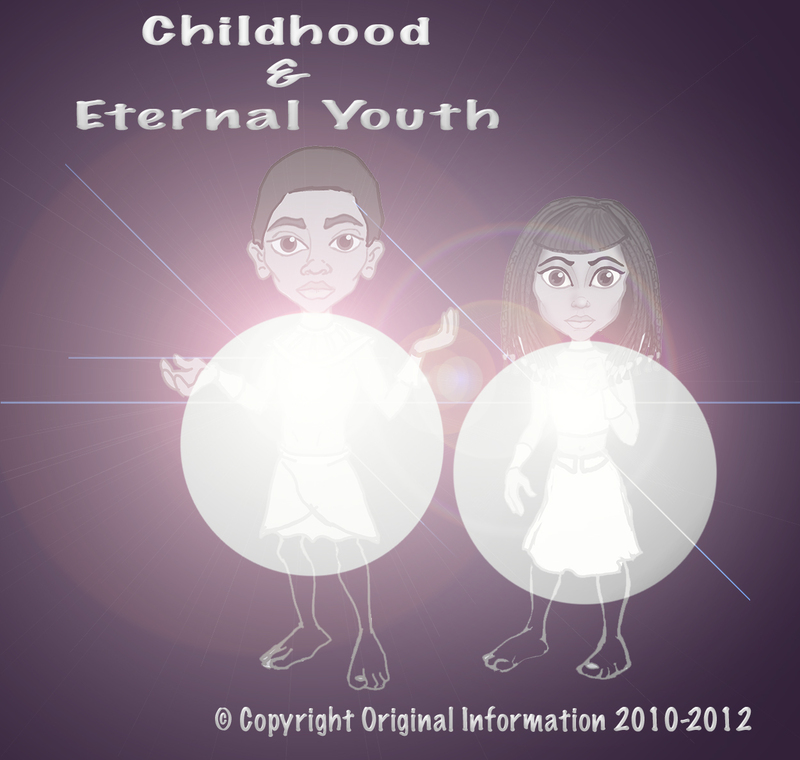 I see the inner truth, and the inner child, and the double Twin Soul Consciousness within all of you. I want you to focus on that now, for the next weeks and months. Discover yourself, your true inner Powers. Learn more about yourself, and your hidden talents and aspects. who I truly am, and who Susan is to me and with me. It is like a mirror, showing you your own truth as well. You are all like me, and Susan. You all have this spiritual truth in you waiting to be discovered. Think about the Man in the Mirror, the song I did with beautiful, generous and talented Siedah. Think about it’s deeper implications, on a spiritual level. How would you look like, what would you see, if you looked at your Mirror, on a spiritual not physical level? I will say more when the time is right. I love you all and I am proud to see more and more of you evolve and open up, so we can all be happy and enjoy each other’s company, forever. Keep the Love in your hearts and minds.